Please enjoy happy time with us. 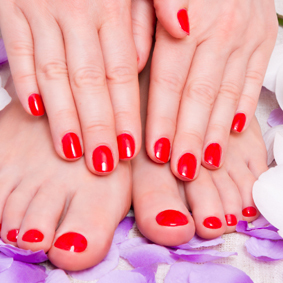 Your nails will want to come back for more! Give your face, arms and legs a totally wonderful massage in order to let you leave tired week behind and enjoy happy time with us. 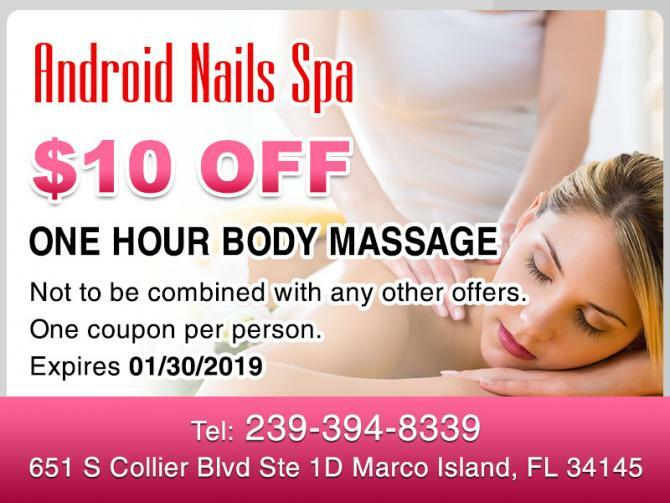 At Android Nails Spa, your safety and health are our priorities and always first in our mind. We use clean towels and manicure mats for each client. We sanitize and disinfect all reusable tools and equipment in accordance with State regulations and industry best practices. For disposable tools, we only use once and dispose or give them to our clients at the end of each service. We also use liners for our spa pedicure bowls. We never use blades to cut any skin, including calluses. Heavy callus needs to be taken down gently, sometimes over the course of a few services. Give us a call or drop in to start experiencing the pampering you know you deserve. 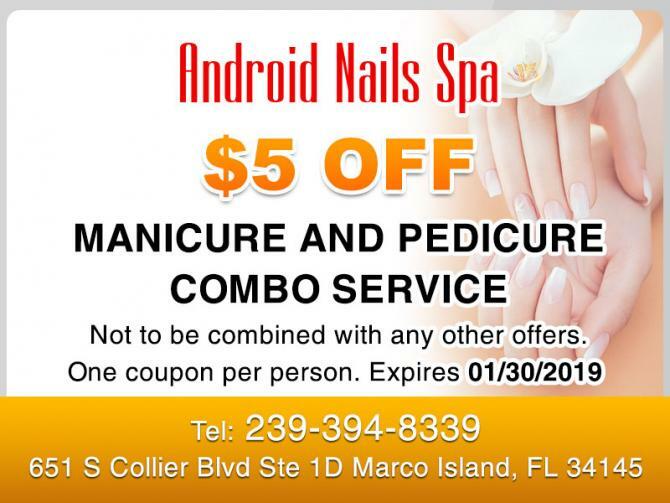 Android Nails Spa in Marco Island FL 34145 – We look forward to serving you. Massage on a mat, on the floor, in the traditional way, using hands, knees and feet to provide series of yoga-like stretches with deep static and rhythmic pressures. This is the most enjoyable and relaxing massage performed by our professional and skillful massage therapists. We have 3 massage rooms and each room has 2 beds to pamper and accommodate our clients, either as an individual or as a group. SNS dipping powder are available. No odor, no liquid, no primer and no UV light. We have over 300 colors and the best SNS technicians in Marco Island. Book service for your party, birthday, wedding or any special occasion. 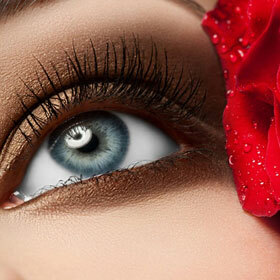 Let us pamper you with our great services and with our professional and experience technicians.